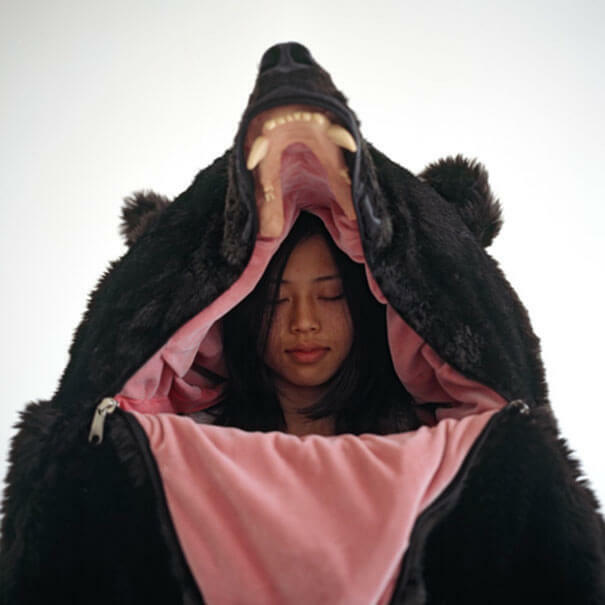 Japanese artist Eiko Ishizawa is the brilliant mind behind this sleeping bag, aptly named the “Great Sleeping Bear”, which is exactly what it sounds like: a gigantic plush bear you can sleep inside of. The luxurious and comfy sleeping bag has been designed to look just like a real bear when zipped up – so realistic in fact, that your kids might want to steer clear of your bedroom in the morning, allowing you to catch some z’s. Ishizawa was inspired to make the bear sleeping bag after hearing a true story about a bear called Bruno, who was causing problems in the Italian Alps and eventually had to be put down. 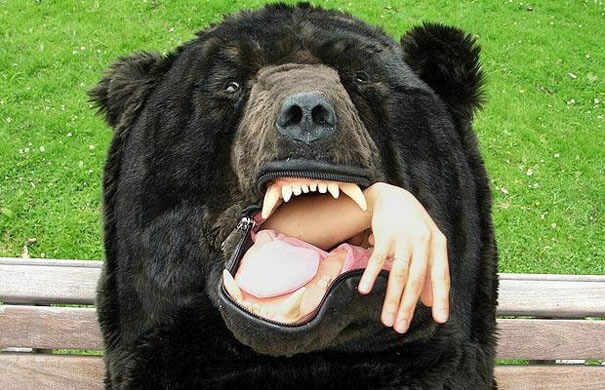 “By having the experience of transitional discoveries like finding a bear, realizing a little human face in his mouth, and recognizing details and shape of this commodity, I attempt to create this work as to be a medium for audiences to generate one’s transitional perceptions and fantasies in reality,” Ishizawa wrote about the project. Basically, if you’ve always wanted to know what it feels like to be a gigantic, hibernating bear (or simply want to give your kids the fright of their lives…) — now’s your chance. 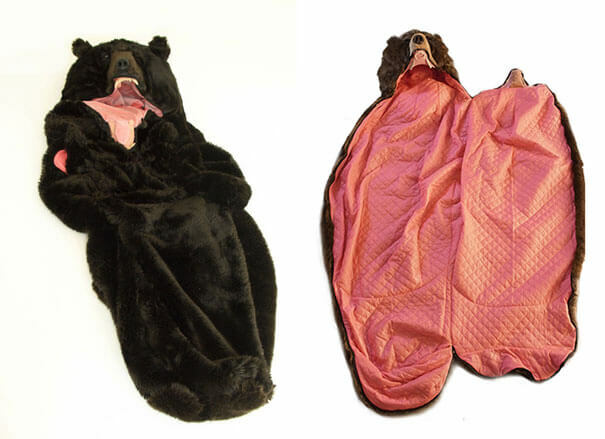 Certainly one of the most unique sleeping bags ever made, the bear sleeping bag can be orderered from here. Be warned though, at US$2,350, the sleeping bag doesn’t come cheap. But you can’t put a price on sleep right?